ReaLine® is the name of a highly individualized training system that prioritizes learning to move with correct joint alignment. It was developed in Japan based on the work and research of Dr. Kazuyoshi Gamada, a widely respected professor and specialist in the fields of Biomechanics, Exercise Physiology and Physical Therapy. 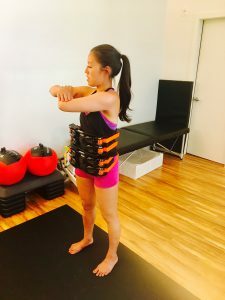 This method is unique in its use of innovative devices designed to accelerate the process of re-educating the body to move as nature intended. 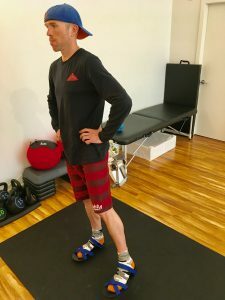 ReaLine® training grew out of the concept that correct alignment is a basic and essential factor underlying all healthy body movement, from ordinary daily tasks and recreational activities to professional-level sports. 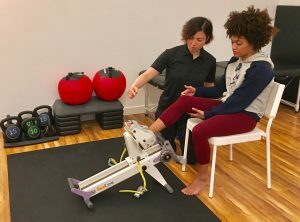 The training has gained popularity in Japan over the past several years, with clients ranging from Olympic athletes to elderly seniors. Clients often report that ReaLine® was the "missing piece" that enabled them to reach their full performance or mobility potential. Think about a motor vehicle. Even if you buy the best engine and body parts, you still need a mechanic to build and fine-tune the vehicle for it to be fully functional and operate at its best potential. 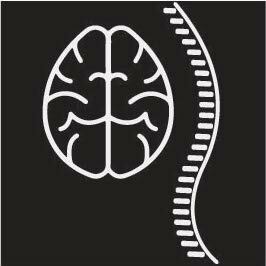 Similarly, our body alignment as we move is the framework within which all our different muscles perform their respective roles. Incorrect alignment habits affect the body's performance level and injury risk in athletic pursuits, exercise and daily life activities. Moving with incorrect alignment also tends to place unnecessary stress on important joints, causing cumulative wear and tear that can eventually lead to pain and mobility issues later in life. Assessing and correcting alignment habits at any stage of one's life can help prevent, resolve or at least partially alleviate most common joint and muscle problems. Eguchi is now available in Vancouver, BC. Book a trial session to see if this is right for you--it may be the greatest gift you will ever give yourself and your body. 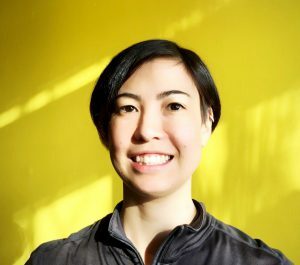 Naomi Eguchi received a Bachelor’s Degree in Applied Sciences (BASc) from Simon Fraser University in 2006, specializing in Kinesiology and Gerontology. She then returned to Japan, her birth country, where she worked for ten years as an athletic trainer and movement coach. One of the first ReaLine® Instructors to be certified, Naomi has had 8 years of experience working with this method in Japan. In the fall of 2016, Naomi relocated to Vancouver, BC with the objective of introducing ReaLine® training and equipment in Canada. As an athlete who formerly played soccer and futsal at national levels and continues to play locally, Naomi has firsthand experience of the transformational benefits of ReaLine® training in her own life.